I frequently lecture about the importance of finding the “essence” in one’s images. By essence I mean the conscious effort to reduce the image to its defining characteristics, its purest storyline minus unnecessary distractions. It is a concept that invariably leads to a more focused image, to one that is more dramatic and appealing to the viewer. Not satisfied with the image once he saw it on his screen, Dave took some drastic action. 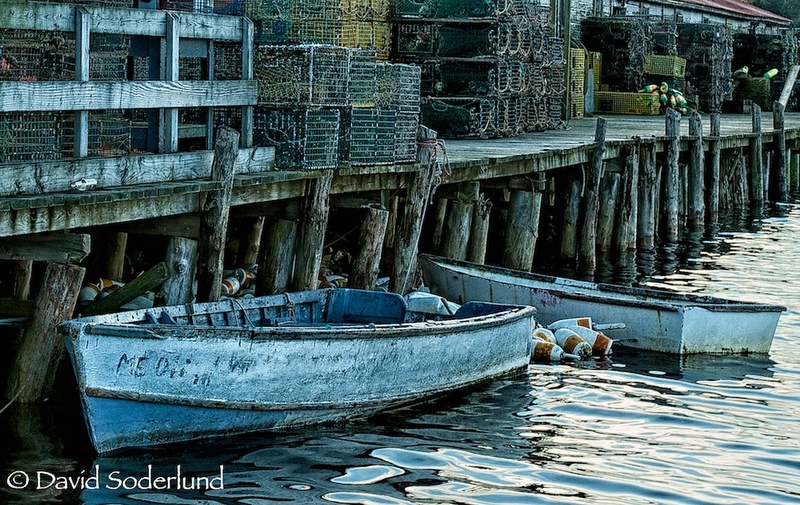 “I cropped the image severely in Aperture 3 (throwing away a lot of pixels) to emphasize the “essence” of the image — for me, it was the two boats — and I selectively desaturated yellow hues slightly in Aperture to tone down the yellow lobster traps on the dock. I applied filters in NIK Color Efex Pro 4 to increase contrast and enhance the surface detail in the boats. The boats are clearly working boats rather than pleasure craft, and I wanted to emphasize that. No matter. The beauty of digital is that you can come home from a shoot and then work your images to suit your unique creative vision. I like what Dave has done here. 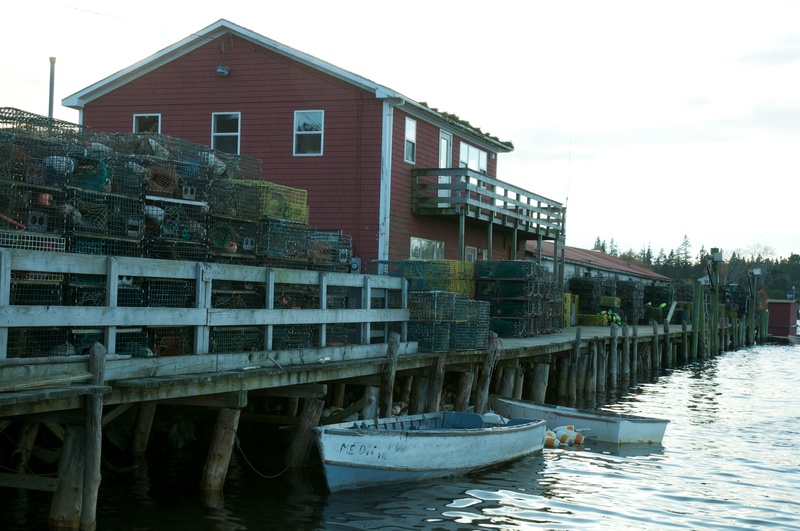 He has reduced the image to its pure storyline- working fishing boats at a working fishing pier. By removing the distractions he found the essence of the image. Yes, he would have had more pixels to work with had he not had to crop so severely. But his post-processing hand was deftly applied, too. Now he has a print-worthy image to frame. Congrats, Dave! In my next blog I’ll take a look at another approach to essence photography, namely minimalism, using a classic example from another of my workshop participants. Stay tuned!